Comeet earns product design recognition by creating an innovative user experience that improves talent acquisition process and ROI. Applicant tracking and collaboration combine in the next generation of recruiting software. Comeet proves that enterprise software can be engaging, and that thoughtful UX can increase B2B software adoption. Comeet’s innovative collaborative recruiting platform was awarded an UXie at the recent 5th Annual UX Awards, the premier awards for digital experience. Comeet was the only B2B product, HR software or applicant tracking system recognized. The judging panel awarded Comeet an Honorable Mention based on using human-centered design principles to improve the process of recruiting and hiring. Fellow UXie winners included Grand Prize winner Veryday, Google, SAP, MailChimp, Method, Made by Many and Huge. Comeet Co-founder and Chief Product Officer Tommy Dikerman accepted the award at the UX Awards banquet held at the Parson’s School of Design in New York City. By emphasizing UX, and drawing inspiration from sources such as board games like Monopoly, Comeet enables companies to implement team-based hiring in practice - not just in principle. The effect is tangible, according to Comeet customers such as Fiverr, which provides an online freelancer services marketplace. The UXies are chosen by a rotating panel of expert judges using a 5-point voting system and consensus. Awards are given based on merit, outcome, impact, methodology, and innovation, rather than in fixed categories. 2015 judges included: TIAA-CREF’s Head of UX Design Andy Knight; Bank of America/Merrill Lynch’s Director of UX, Strategy and Design Scott Wilkinson; The Home Depot’s Director of Enterprise UX Cliff Sexton; and UXie creator Beverly May. The UXIES honor the innovators behind the digital products and services that define our world. They were the first awards dedicated exclusively to promoting exceptional user experience. A consensus-based evaluation combines assessment by the Awards Jury and public crowdvoting. 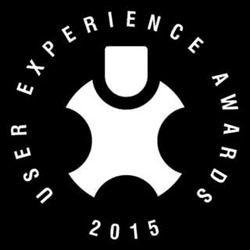 More info about the UX Awards is available here. With headquarters in Silicon Valley and R&D operations in Tel Aviv, Comeet provides a collaborative recruiting platform to companies looking to quickly build high-performance teams. Blending applicant tracking and collaboration functionality in an elegant, user-friendly system, Comeet connects, coordinates and automates every source-to-hire step of talent acquisition. Customers include ironSource, Sodastream, Fiverr, Gett, and Appsflyer. Visit http://www.comeet.co to learn more.